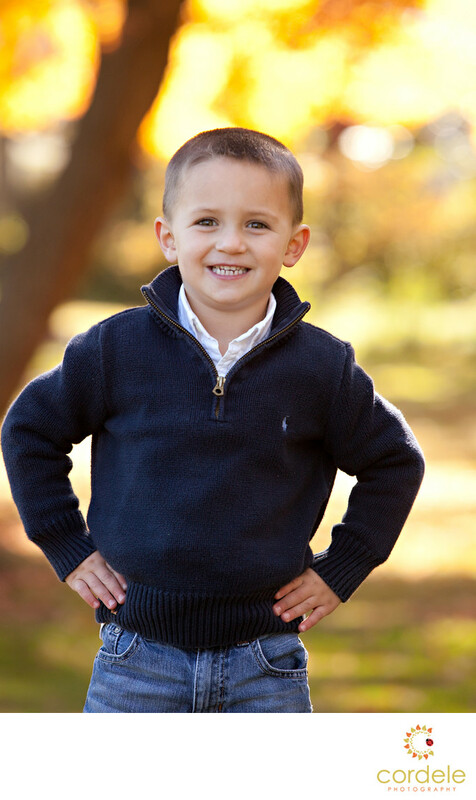 If you are looking for Wakefield Kid Photographers in Massachusetts, look no further! He is wearing a blue sweater and blue jeans and is standing in a park in Wakefield. He standing with his hands on his hips and smiling right at the camera. Fall photos with kids are some of the cutest when you can get the color and light right.